The investigation into the murder of a 24-year-old woman IT professional in full public view at a railway station in Chennai was on Monday transferred to a special team of city police hours after the Madras high court warned of suo motu intervention if there was any slackness in the probe. The Tamil Nadu government made the submission about the transfer in the probe after a bench comprising Justice S Nagamuthu and Justice V Bharthidasan posed tough questions and summoned the public prosecutor to clarify a news report about alleged lack of coordination between Railway and city police in investigating the case. Appearing before the bench, Public Prosecutor S Shanmuga Velayudham said the case had been handed over to a team of Nungambakkam Police headed by an assistant commissioner. “The Director General of Police has passed an order transferring the investigation to Nungambakkam police. A team has been constituted, and it is headed by Assistant Commissioner of Police K P S Devaraj. The deputy commissioner is monitoring investigation, Cyber Crime and CB-CID are also assisting the investigation and a total of 25 police personnel are working to crack the case,” he said. 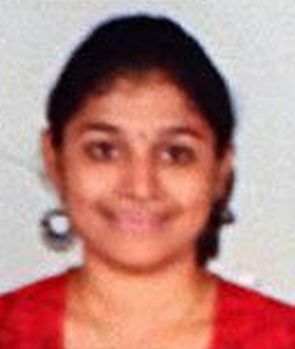 The victim, Swathi, employed with IT major Infosys, was allegedly hacked to death by an unidentified man on a platform at Nugambakkam railway station while waiting to board a suburban train on her way to office around 6.30 am on June 24. Earlier, Justice Nagamuthu lambasted the police for not taking any steps for nearly two hours after the murder even to cover up the body of the woman. “Where were your police officers? Two hours on a platform. Even a dead person has got right to dignity under the Constitution. Even after death the girl’s dignity cannot be denied. Why it was lying like an exhibition for more than two hours? It speaks volumes. Why it should take so much time for police to complete the formalities?” he asked. The judge also asked the PP as to when the case was transferred for which the latter replied it was done on Monday. Wondering whether the decision to transfer the case was taken after the court’s observations in the morning, the judge said, “The occurrence took place on Friday. Today is Monday, no breakthrough till now. “The issue appeared in newspapers and was debated very widely in the media. I have gone through various newspapers. They have reported that there is no coordination between and that there is infighting,” Justice Nagamuthu said. Denying the lack of co-ordination, the PP said the city police commissioner and the DGP visited the spot. The judges also asked the PP why there was no CCTV at the railway station. The PP responded that instructions had now been given for installing the CCTVs at all railway stations. POLL: How safe do women feel in India?